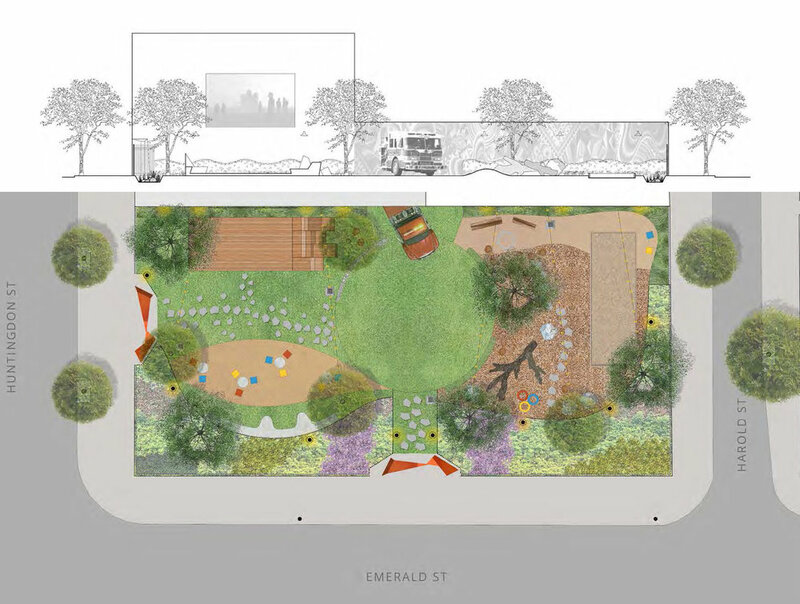 Located on the corner of East Huntingdon and East Emerald Streets, this large city-owned lot is in the process of becoming a brand new park with a Stormwater Management component that will show as small rain gardens. The process involves several city agencies and has moved slowly over the past two years, but we hope to have a commitment this spring, 2018. Arcadia Commons hosts free community events with games and music at the Huntingdon Emerald. Stay tuned to our news and sign up for our mailing list.